This is a great way to continue the use of our nations currency when it is no longer in circulation. 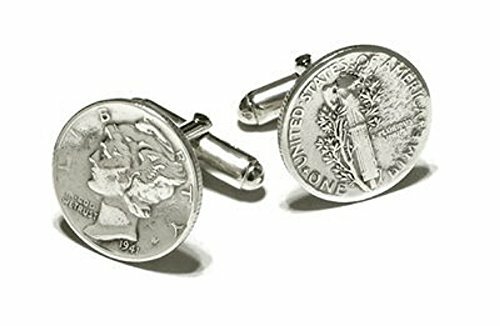 Mercury Dime coins are hard soldered onto a sterling silver action. The actions have 925 on the inside. Both sides of the coin are head up. PLEASE REMEMBER THAT THESE COINS WERE CIRCULATED AND USED AND ARE OVER 70 YEARS OLD. THE DATES MAY VARY FROM THOSE SHOWN IN THE PHOTO AS THAT WAS JUST ONE PAIR PHOTOGRAPHED. 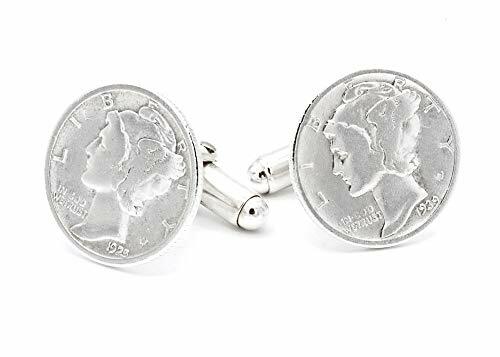 THEY ARE CLEANED AND CAREFULLY BUFFED OR POLISHED, AS UNLIKE SOME CUFFLINK MANUFACTURERS WHO JUST TAKE THEM OUT OF THE BAG FROM THE COIN DEALER AND USE THEM THAT WAY, THESE ONES ARE TREATED WITH CARE. 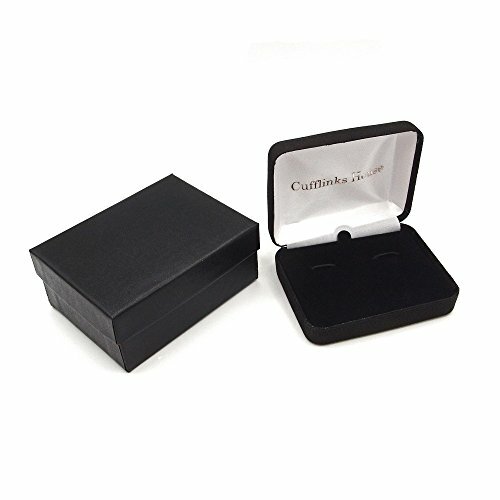 Presentation boxed. Made in the USA.